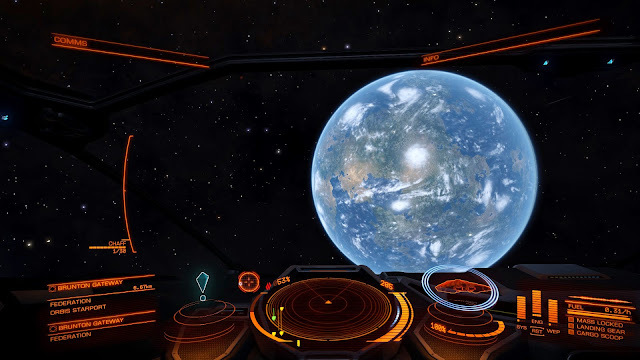 Okay so I'm definitely addicted to Elite: Dangerous and probably playing it way more than I should - but the game just has that quality about it, especially when you setup shop in a system claiming it as your home, which I've done in the Dulos system. However, remember when I said there was the potential for a war in this system? Looks like that war is starting to become a hot one with the Dulos Defence Party now exerting 39% influence in the system compared to the last time I reported when they only had a measly 14%! Also the major faction (which I'm allied with), the Green Party of Dulos, has only 46% influence compared to over 60% several days ago! Ohnoes! The Dulos Defence Party are gaining power! 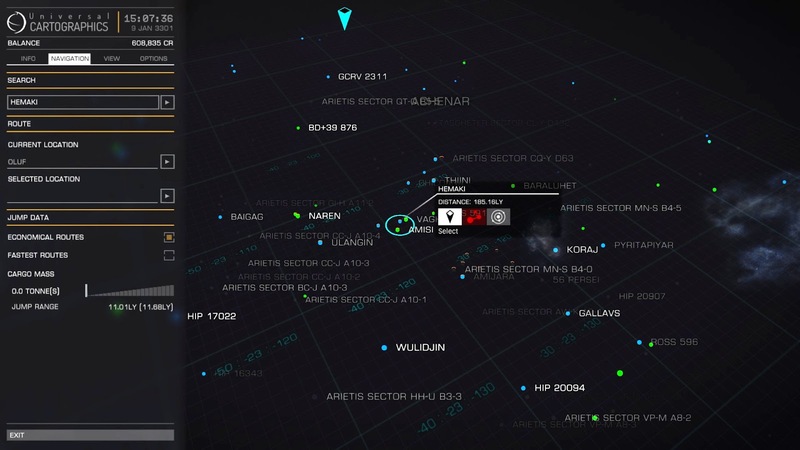 An almost 400ly round trip? Yeah, why not. 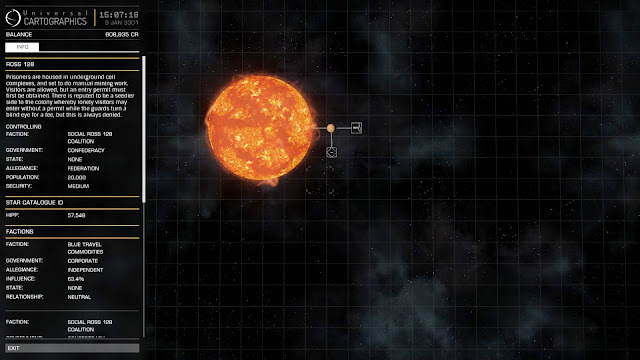 The little Sidewinder unfortunately got destroyed by a pirate just before I managed to reach the Hemaki system - and it was over a region of space which was the space equivalent of the Australian Nullarbor - lots of uninhabited star systems right next to each other. 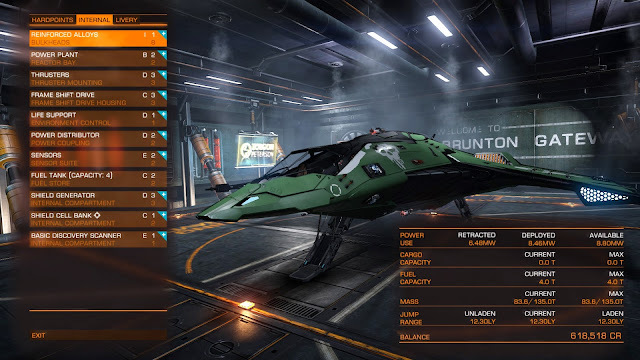 I eventually made it to Hemaki though and it gave me the opportunity to try out the Eagle. 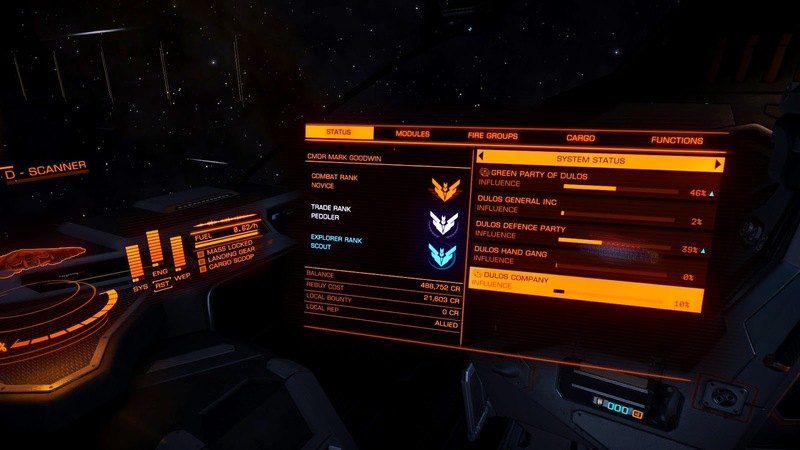 So great, I managed to get my Eagle but I also managed to get a couple of Federation system permits just before arriving for the PLX 695 system (which sounds like its run by Federation Defence Contractors) and the Ross 128 system, a penal colony near Sol. I managed to take a detour to these systems on the way back to Dulos but it gave me a chance to really put the Core Dynamics Eagle through its paces. The ship is obviously much smaller than the Cobra Mk III and consequently can't accommodate as large a power plant meaning the management of power is critical if you want to get any damage from your weapons. I ended up having two beam lasers (that chewed through energy way too quickly) and one missile launcher - so I was missing the extra missile launcher on my Cobra Mk III loadout. The Eagle is also very reliant on its shields since once you've cut through them it's only two missile hits and you're dead meat. The Cobra Mk III is much more survivable. Anyway, I found that I really had to lift my game when it came to combat in the Eagle since incidentally that was the only way I was going to generate income with it too; the ship is so small it's pretty much useless as a cargo vessel so the only missions on the bulletin board that could be done were assassination and bounty hunting missions (oh and courier missions but they never came up unfortunately). A Federation penal colony - but the leading faction is Independent... huh? This is an Industrial station... why can't I buy Domestic Appliances? Version 1.04 of Elite: Dangerous which was release just yesterday has brought a nice addition for the merchants on the Commodity Exchange. 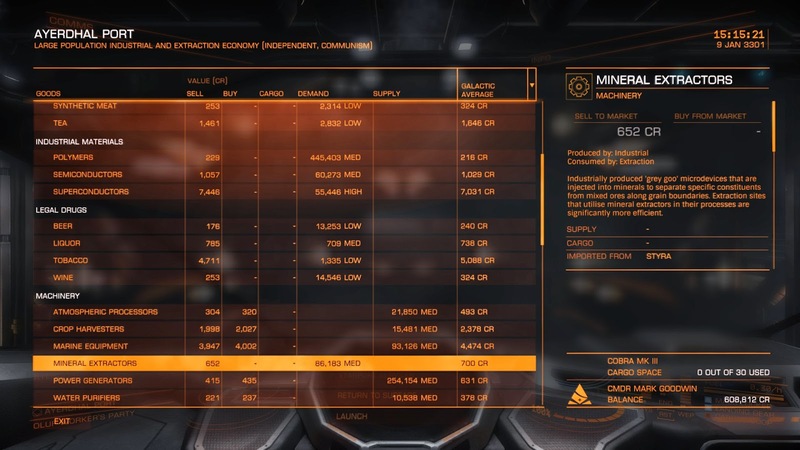 Basically each commodity on the market now tells you where that commodity may be found and what sort of station/economy consumes the commodity. I was thinking to myself "Hooray! No more useless trade routes on the galaxy map misleading me into going on a wild goose chase across the Milky Way looking for a particular item for this trading mission". Alas, it was too good to be true. One particular trading mission (I'm talking about the ones where you have to procure certain goods for a station) had me searching for Domestic Appliances for Dulos. 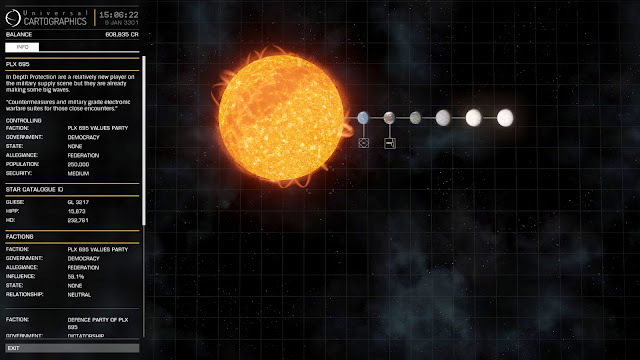 According to the trading tips, it indicated that Industrial stations create these things. Oluf, a neighbouring star system to Dulos just so happened to have an industrial economy. 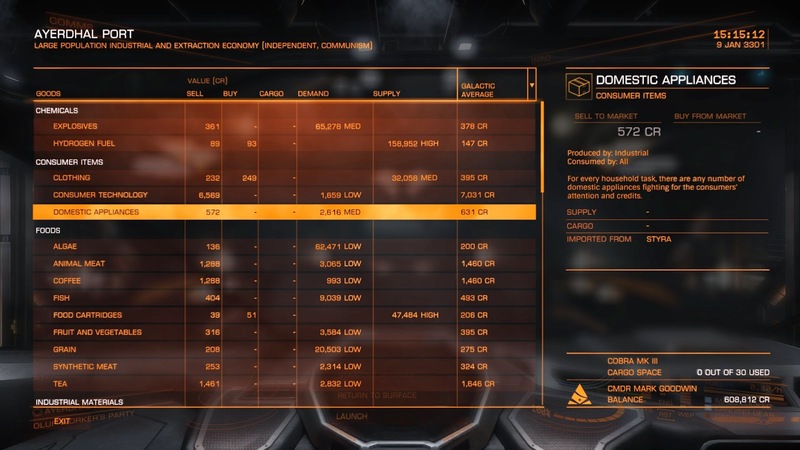 So I set off to the system, got to the station only to find that not only do they have no items in stock, they don't even sell the item (and actually have a demand for them). I found this a bit strange until I looked at another item that was meant to be made by Industrial stations but which happened to be also in demand at this station. Then it dawned on me that since the station is actually a dual economy station, its Extraction economy was somehow interfering with what goods it would normally create as an Industrial station! So here's a tip to you would-be traders out there: Be careful when it comes to dual economy stations. The in-game trading tips aren't necessarily correct when it comes to them!